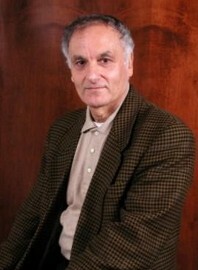 Dr. Jacques Doukhan, Professor of Hebrew and Old Testament Exegesis at Andrews University, was the featured speaker at the Worker's Meeting for the Upper Columbia Conference of Seventh-day Adventists in August of 2007. The conference was considering establishing a church plant in Spokane, Washington, to reach Messianic Jews. Doukhan was invited to speak to the Conference ministers about the annual feasts. According to three people in attendance, a number of pastors voiced questions about the Biblical calendar. One of the pastors stated that at that time, Doukhan acknowledged that when the Sabbath is calculated by the Biblical calendar, it will fall differently. If the Sabbath on the Biblical calendar does not fall on Saturday, why does the Seventh-day Adventist Church still teach that Saturday is the Sabbath? Why has the leadership not informed the church members? How long has the leadership known that Saturday is not the true Bible Sabbath? The history of the lunar Sabbath teaching within the Seventh-day Adventist Church is the sad story of a cover-up spanning decades. Heaven has tried many times to bring this truth to the world, but each time spiritual pride or fear of the consequences of accepting such a radically different truth has led the Church to reject it and, still more, to cover up the evidences in support of this truth. (born January 1, 1941 in Santurce, Puerto Rico). served as General Conference president of the Seventh-day Adventist Church from 1990 through to his resignation in 1999. In the mid-1990s, questions arising out of California and Washington regarding the concept of the lunar Sabbath and the 1844 Day of Atonement prompted the General Conference of Seventh-day Adventists (GC) to take action. 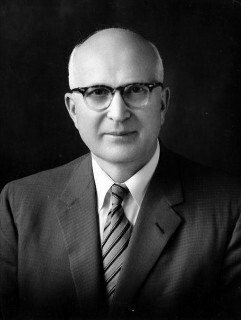 In 1995, an order originating from the office of the then-GC president, Robert Folkenberg, Sr., commissioned a study group to ascertain how the Day of Atonement was determined in 1844 as well as resolve the effect such calculation might have on the seventh-day Sabbath. professor of New Testament and Christian Origins at the seminary, was selected to head this research committee. No representative from the Biblical Research Institute was on the committee as it was felt that the well-respected scholarship of the various members was of sufficient authority that it was not needed. The vaults were thrown open for the committee. They were asked to research the Grace Amadon Collection (housed at the Center for Adventist Research at Andrews University) as well as the four volume series, The Prophetic Faith of Our Fathers, by Leroy Edwin Froom. Additional material supplied the committee for study was a series of letters, written by well-respected Adventist scholar, M. L. Andreasen. A research paper on the subject by Elder J. H. Wierts was to be provided, but before it could be studied, something unexpected happened. It had been expected that the committee would be able to very quickly refute the idea of the Sabbath being calculated by the ancient Hebrew luni-solar calendar. However, that is not what happened. As the committee members began thoroughly studying into the subject of the Biblical calendar used for calculating the Day of Atonement in 1844 and the facts of the crucifixion date, several of them became convicted of obvious inconsistencies revealing that Saturday is not the Bible Sabbath. The Seventh-day Adventist denomination was founded upon a belief that the 2300 day/year prophecy of Daniel 8:14 ended on October 22, 1844, as taught by the Millerite Movement of the 1840s. But the only way to arrive at that specific, foundational date is by using a different calendar, the ancient Biblical luni-solar calendar, to pinpoint the Day of Atonement for the cleansing of the Sanctuary. This was the problem facing the Study Committee of 1995. To acknowledge that the Seventh-day Adventist Church's sole, unique contribution to Protestant theology was based upon a different method of time-keeping, was to open the floodgates to a problem they did not wish to deal with: i.e., the problem that the Biblical Sabbath is not Saturday on the modern Catholic Gregorian solar calendar! When interviewed, one of the committee members stated, "The main thing the NAD men wanted to cover up was the fact that October 22 is based on Jewish lunar calculation." He said that they were wanting to get people thinking that it was based on solar calendation. This led to extremely heated discussions among the committee members. This author does not know precisely what position the men from the NAD and the GC took, but according to interviews, three of the five members from Andrews University were vocal in their support for a truthful and consistent stance on the establishment of the date of October 22, 1844. "Anytime you have October 22 and it is your hallmark doctrine, it is the hallmark doctrine that sets your denomination apart as distinct and separate from all other denominations, and it is based on Jewish [Biblical] lunar calculation, and then you give people the idea that you got it from the solar calendar, you're lying! Several of us were very, very hard on them." "In their ignorance, they actually thought they had a committee that would rubber stamp whatever they were told to agree to. But after a few meetings they saw that they couldn't get a consensus from us, they couldn't bully us, and they shut it down. They saw that they were about to open Pandora's box and so they shut it down." "Art thou he that troubleth Israel?" If I am viewed as a liberal, I will lose everything. The fastest way to destroy your career in the SDA Church is to be branded a liberal scholar. If I come out and agree with you, my career will be over. I'll lose my job. I'll lose everything. Once you're labeled a liberal in the Adventist Church, you're dead. Even Chairman Johnston went so far as to admit: "I agree with what you are saying, and that is why I do not teach Bible Chronology. Men and women are saved by grace and so that is what I teach. I do not teach Bible Chronology." In order to spare the corporate Church the embarrassment of having to admit that Saturday was not actually the Biblical Sabbath, the Study Committee was shut down and the subject was suppressed. Or, as one committee member recalled, "it was feared the truth would blow up the Church." Satan triumphed in hiding truth and promoting error. Today, the Seventh-day Adventist denomination is still faced with the inconsistency of using two very different calendars: one for 1844, and a different one for calculating the seventh-day Sabbath. Without the original luni-solar calendar, there would be no Day of Atonement on October 22 in 1844. This ancient method of time-measurement was the very foundation for determining the time prophecy and the cleansing of the sanctuary doctrine which is the hallmark belief of the Seventh-day Adventist Church which grew out of the Millerite movement. It is important to note in the above quote that a distinction must be made between the "ancient or original Jewish form of luni-solar time" and the "altered modern rabbinical Jewish calendar" in use by Jews around the world today. The calendar used by Jews today is not the same as was used in Bible times. Under intense persecution following the Council of Nicea Jews "fixed" their calendar to align with the continuous weekly cycle of the Julian calendar. Consequently, the Jews in 1844, kept the Day of Atonement, or "Yom Kippur", on September 23, and not on October 22 as the Millerites and later the Seventh-day Adventists claimed was the true Day of Atonement. The fact that the Jews observed the Day of Atonement on September 23 and not October 22 was a point well known to the Millerites. There were many in 1844 who made merry over a lunar reckoning that was not based upon the modern Jewish calendar. The answer was returned: "Every scholar knows that we are correct as to the Karaite [original Hebrew] seventh month." The Millerites were well aware of the rabbinical seventh month in September in 1844, and the circumstance was often mentioned in their papers. At the same time they were emphatic in their challenge that they dissented from the modern Jewish calendar because it did not agree with the laws of Moses. Heaven used the Millerite Movement to restore to the world a knowledge of the original calendar of Creation, uncorrupted by the later traditions of rabbinical Jews reconciling their observances to the pagan Julian calendar. Painstakingly studying the Karaite [Jewish] protest in the Middle Ages against the Rabbinical perversion of the calendar, they at last deliberately and irrevocably accepted, restored, and applied to their time-prophecy problem, the earlier calendation championed by the Karaites. And this they did in defiance of the whole body of Rabbinical scholarship and the general current practice of Jewry which change was introduced in the same century and at approximately the same time that the Roman Church . . . changed the Sabbath by church law from the seventh [according to the Biblical calendar] to the first day of the week [of the Gregorian calendar]. The Millerites knew the ancient luni-solar calendar so well that they were able to calculate, in advance, the Day of Atonement. Without this understanding, there would have been no "Seventh-Month Movement", no "Midnight Cry", and later, no cleansing of the sanctuary doctrine within Adventism. It is not too strong a statement to say that without the luni-solar calendar, there would be no 2300-day doctrine within the Seventh-day Adventist Church. The problem is when the Sabbath is calculated by the original Biblical calendar, it does not routinely fall on Saturday because the weekly cycle of the luni-solar calendar does not align with the weekly cycle of the Gregorian calendar, which is a solar calendar. Furthermore, this can be proven by the fact that if the 2300 day/year time period started in 457 BC as taught by both the Millerites and the SDA Church, the year AD 31 is pinpointed as the year of the crucifixion. When the luni-solar calendar for AD 31 is overlaid on the Julian calendar for the same year, Passover, the sixth day of the week, does not fall on Friday! Time is measured by motion. The swing of the clock pendulum marks seconds. The revolutions of the earth mark days and years. The earliest measure of time is the day. Its duration is strikingly indicated by the marked succession of light and darkness. Being a natural division of time, it is very simple, and is convenient for the chronology of events within a limited time period. The week, another primeval measure, is not a natural measure of time, as some astronomers and chronologers have supposed indicated by the phases or quarters of the moon. It was originated by divine appointment at the creation, six days of labor and one of rest being wisely appointed for man's physical and spiritual well-being. 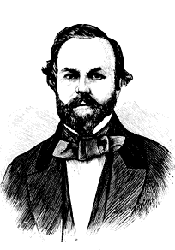 Sylvester Bliss Millerite editor of the Signs of The Times and later editor of the Advent Herald. Alonzo T. Jones 1850-1923 At age 20, A. T. Jones began three years of service in the Army. 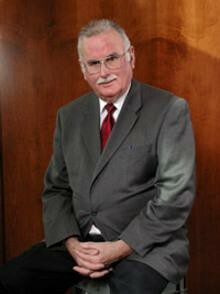 Interestingly enough, he spent much of his time pouring over large historical works, SDA publications, and the Bible. 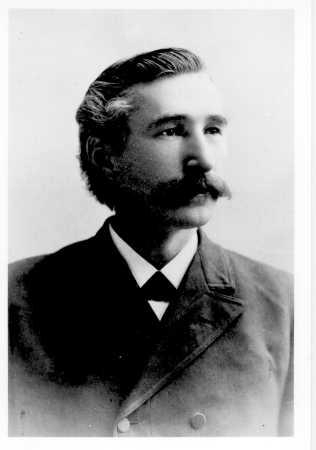 Upon discharge from the army, Jones became a baptized member of the Seventh-day Adventist Church and began preaching in California. 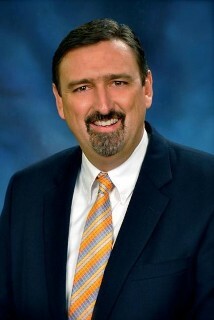 His proclivity for writing lead him to connect with the editor of Signs of the Times magazine, an evangelistic periodical published by the SDA church. 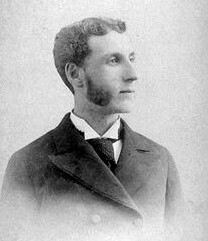 In May 1885, he became assistant editor of that publication. This assumption that the week is the sole unit of time-measurement that is not tied to anything in nature was repeated by J. N. Andrews in his weighty tome, History of the Sabbath and First Day of the Week, published by Review & Herald Publishing Association in 1887, where he quoted Bliss' in the above statement.7 That these statements made it into publication would seem to indicate that there was wide enough agitation of the subject that the authors felt the need to address the matter, however briefly. The following year, at the 1888 General Conference Session held in Minneapolis, Minnesota, the heated arguments in the pre-session meetings centered on Alonzo T. Jones' and E.J. Waggoner's teachings that the law of Galatians 4 was the moral law (and thus still binding), and not the ceremonial law believed "nailed to the cross". The leading brethren did not want to accept anything beyond the 10 Commandments was still binding from the Law of Moses. If such were to be acknowledged, consistency demanded that the feasts of Leviticus 23 were still binding as well. the Church by way of the feasts? Acknowledgment of the need to keep the feasts would have brought with it a knowledge of the luni-solar calendar for calculating those feasts. The effect upon the seventh-day Sabbath would have been quickly realized. Would it have led to using the Biblical calendar for the seventh-day Sabbath? The possibility that the leading brethren who battled so fiercely against Jones and Waggoner did, in fact, see far reaching consequences to the message which the two young men did not see should be considered. The epic fight embraced much more than has been generally understood. Over 30 years later, A. T. Jones wrote a letter to Claude Holmes, a Seventh-day Adventist linotype operator. In it, Jones recalled a statement made by one of the leading brethren he left unnamed. The quoted statement, and Jones assessment of it, would suggest that the Church leaders saw in the message far reaching consequences that scared them, consequences which Jones and Waggoner themselves did not see. My answer to your letter of inquiry of April 12 has been delayed by many things. And now I do not think that I can do justice to it in the time that I have. That Minneapolis meeting and conference embraced much more and meant much more than what occurred in the meeting and conference. In a way it was the culmination of a number of things before it, and it was also the origin of a lot of things after it. ... In that meeting and conference the tide of things was indicated by what one of the Battle Creek leaders said one day to a cluster of men after one of Bro. Waggoner's studies. He said, "Now we could say Amen to all of that if that is all there were to it. But away down yonder there is still something to come. And this is to lead us to that. And if we say Amen to this we will have to say Amen to that and then we are caught." What would the acceptance of the moral law in Galatians 4 have led to? Consistency demands that if the annual feasts are to be kept, then the calendar used to calculate them must also be used to calculate the weekly feast of the seventh-day Sabbath. Is this the issue the older, more experienced brethren saw must surely arise if they said Amen to Jones' and Waggoner's presentation on the moral law in Galatians 4? Thus they would not say Amen to what they knew was true for fear of what was to come after, to which they would not say Amen anyhow and which never came either, for there was no such thing, and so they robbed themselves of what their own hearts told them was the truth; and by fighting what they only imagined, they fastened themselves in opposition to what they knew that they should have said Amen to. The opposers were [General Conference President] Geo. 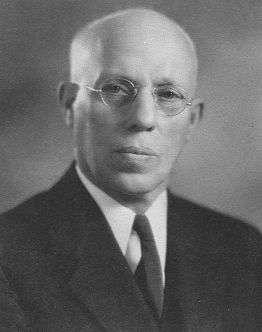 I. Butler, J. H. Morrison, and all who could be swung by General Conference influence. For more information, please see Exposing the Skeleton in the S.D.A. Closet of 1888. Around this same time, A. T. Jones wrote a scathing rebuttal of the concept as presented by a Sunday-keeping minister. Unfortunately, his response was more of an impassioned attack rather than a well-reasoned, logical refutation addressing the various evidences supporting the concept. To the author's knowledge, there is no evidence that Ellen White was involved in any discussion of the topic or even aware of it. Despite the clear understanding the Millerites had of the luni-solar foundation for an October 22 Day of Atonement, the young Seventh-day Adventist Church quickly forgot the solid foundation on which this hallmark doctrine had been built. Barely 50 years later, (evidence suggests sometime in the 1890s), a young minister by the name of J. H. Wierts was shocked to learn through his Hebrew teachers, rabbis, that October 22 had not been Yom Kippur in 1844, but, according to them, September 23 had been. In contact with Jewish Rabbis my Hebrew Teachers, I discovered many years ago from their Hebrew records, that the Rabbinical Jewish Day of Atonement in 1844 fell on Monday, September 23. I then determined to make a careful investigation on this important point. Because of my acquaintance [sic.] with Dr. Eichelberger at the U. S. Naval Observatory, Washington, D.C. I had access to any astronomical record at the Observatory. By those astronomical records I discovered and worked out the Biblical, Chronological, Calendrical, astronomical facts relative to 457 B.C., 27 A.D., 31 A.D. and October 22, 1844, A.D. and found that all that important data in "Great Controversy" was correct even to the day. His meticulous research finally culminated in a manuscript of 283 pages in length. "Knowing also that sooner or later our adversaries would challenge us on all that important data,"10 Wierts began in 1932, to appeal to various General Conference officials for the church to conduct an official investigation into the subject. His efforts appear to have met with little success for most of six years. It is important to note that, from the first, the focus covered, not only the true date for Day of Atonement in 1844, but also the correct day for the crucifixion. The two are inseparably entwined because when the principles of luni-solar calendation (used to determine Day of Atonement for 1844) are applied to the year of the crucifixion, it is undeniable that there is a problem. Specifically, the crucifixion, which occurred on the sixth day of the Biblical week, did not fall on Friday of the Julian week. This was the dilemma for which, in the end, they could not find a resolution without admitting that Saturday is not the Biblical seventh-day Sabbath. "What wisdom...the Lord gve those earnet God-fearing and sincere believers. ..to proclaim to the world that they were following the calendar adopted by the Karaite Jews, - those Jews who profess to follow the Scripture rather than following the calendar adopted by the rabbinical orthodox Jews who were following a calendar which they admit is inaccurate in its mode of reckoning." On November 7, 1938, a committee was formed to study the subject. Initially called the Advent Research Committee, it consisted of Adventist luminaries, well-respected for their theological knowledge. 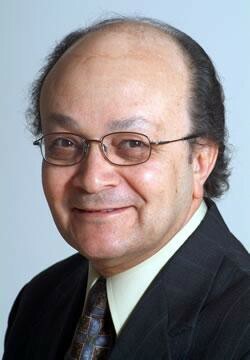 Dr. Leroy Edwin Froom was elected to chair the committee. 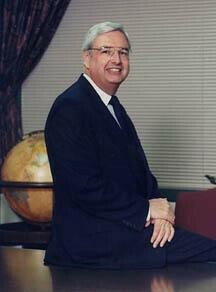 Dr. Lynn Harper Wood served as secretary. The other members were Dr. M. L. Andreasen, Professor M. E. Kern, Professor W. Homer Teesdale, Professor Albert W. Werline and Elder F. C. Gilbert. Brother Froom stated further that we needed astronomical and chronological data to establish these dates beyond question . . . They also are united in the judgment that Miss Grace Amadon who has studied the astronomical aspects of these dates for a number of years, contacted astronomers and astronomical authorities to considerable extent, could offer the committee some real assistance if she could be present here in person and study the matter through with them under their guidance . . . It seemed a logical choice to invite Miss Amadon to join the committee. She was the granddaughter of Adventist pioneer John Byington. She had received her education at Battle Creek and was fluent in a number of languages, including Greek and Latin. She excelled in mathematics and, after doing a stint in the mission field from 1893-1899, she worked for a college in Chicago where she worked as a bacteriologist, teaching a number of science classes. She was also a skilled writer. Several articles she had written on chronology had been published in scholarly journals. The work done by Amadon and the Research Committee was extensive. Their work has, for the most part, been preserved in the Grace Amadon Collection, housed at the Center for Adventist Research at Andrews University. The research they did, explaining precisely how the Millerites arrived at October 22 for Day of Atonement, as well as the broad outlines of luni-solar calendation, is very good and provides a solid foundation for understanding these issues. However, when they attempted to fit the Passover crucifixion on Abib 14 of the Biblical calendar to Friday on the Julian calendar, they ran into irreconcilable contradictions. In the image, the vertical letters in the left column represent the days of the week. The letters to the right of those indicate what sort of business could be onducted on those particular days of the week. 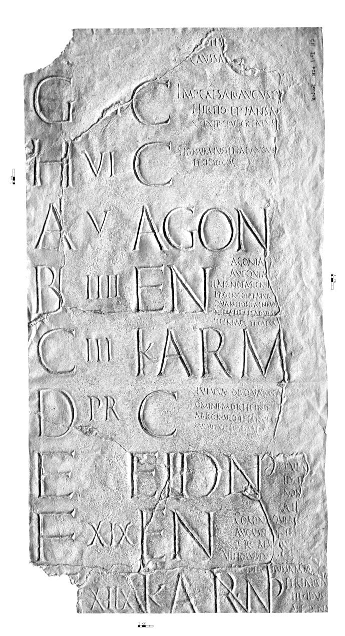 The first is the simple fact, easily established by history, that the Julian calendar in the time of Christ had an eight-day week, designated by the letters A through H. This fragment of an early Julian calendar, called the Fasti Prnestini, was constructed AD 4 - 10. To the left is a list of days spanning parts of two eight-day weeks: G, H, A, B, C, D, E, and F. The words to the right indicate what sort of business could be conducted on those particular days of the week. F stands for dies fasti, days on which legal action is permitted. N stands for dies nefasti, whih meant that no legal action or public voting could take place on this day. EN stands for endotercisus, or intercisus, which were "in between" F or C days in which mornings and afternoons had different designations. NP, the combination of N and P, represented some important type of religious observance of which all records have disappeared. However, they all seem to be directly associated with major holidays. FP also represented some religious holiday, but no definition survives for this abbreviation. Association of Seventh-day Adventists. The book, Sunday in Roman Paganism, was subtitled: "A history of the planetary week and its 'day of the Sun' in the heathenism of the Roman world during the early centuries of the Christian Era." It openly admitted that the seven-day planetary week in use today comes from paganism and was not standardized into general use until the Council of Nicea in the fourth century AD. But that was not the only problem. If one assumes that the modern week has come down uninterrupted from Creation, then, by counting in continuous weeks backward, one should be able to align Abib 14 with Friday in the year of the crucifixion (AD 31, as understood by SDAs from the prophecies of Daniel). However, when this is done, you arrive at Wednesday, (at the very latest, Thursday), for the Abib 14 Passover crucifixion. You cannot place Abib 14 on Friday. The doctrine of the cleansing of the sanctuary as taught by Seventh-day Adventists, is inseparably bound with October 22, 1844, and an AD 31 crucifixion date. They stand together as a united whole, or they fall by the same measure because the calendar used to establish those dates reveals that the weekly cycle of the modern Gregorian week does not align with the weekly cycle of the Biblical week in use at the time of Christ. These are legitimate issues and for too long the church has not had a resolution for them. But refusing to address the subject does not make it go away. M. L. Andreasen stated that he had been asked certain questions in his classes as far back as 1924 and after a little test learned that not half of the students believed in the cleansing of the sanctuary. He thought they had not quite understood and could not believe because of the limit of their understanding. If that represents a cross section of our ministry, we do not have a ministry that is profoundly convinced of the truths for which we stand. He feared that our detractors have made more inroads into our ranks than we think and that more research needs to be done to establish our doctrine. When men know they can talk it out they are more easily convinced, but he has been surprised by some saying they did not dare talk out what is in their minds. This was the very reason J. H. Wierts first approached the General Conference with his concerns. It was not to destroy the Church that these problems in chronology were presented but, rather, because truth does not contradict itself. Either the Church had made a mistake in a very fundamental area, or else there was more light Heaven wanted to bestow. As the Research Committee shifted from October 22, 1844, to focus on the crucifixion date, they quickly and clearly saw the full ramifications of the issues with which they were dealing. It is here that the research, led by Grace Amadon, quickly began to deteriorate. It was of the utmost importance for them to be able to establish a crucifixion date in AD 31. However, in order to do this and still keep a Saturday Sabbath, certain principles of luni-solar calendation had to be skewed. Various papers in the Grace Amadon Collection reveal the different ways the committee, led by Amadon, attempted to resolve the problem, from trying to put the crucifixion on the 15th of Abib, to, finally, creating a translation period (when no moon can be seen) that was far too long to be astronomically feasible. From the papers preserved in the Amadon Collection, it appears that the Research Committee discussed the implications of presenting the Church with the truth of the Biblical calendar. In an undated letter to Grace Amadon, M. L. Andreasen outlined the difficulties that must be expected if they should report the truth: the Biblical week does not have a continuous weekly cycle and certainly does not align with the modern weekly cycle. It would not be easy to explain to the people that the God who advocated and instituted such an arrangement would be very concerned about the exact seventh day. If an explanation were possible, and the people were at last adjusted to the shift in the feast day and the stability of the seventh day, it might be supposed that in time they would get used to the arrangement. But they would no sooner have become accustomed to this, till another shift is made. Now they shift back to where they were before. But neither is this settled or stationary. Another shift comes, and another and another. Now Denver observes the day before Omaha does, then it observes the same day. Now Omaha and Chicago observe the same day, but at another time a different day. There is no uniformity, and just as the people get used to a certain arrangement the day is changed again. Such is more than the common people can understand, and if we go to the people now with such a proposition, we must expect that confusion will result. And our enemies will not be slow to point out the difficulties and ring the changes on them. Because the Biblical weekly cycle restarts with every New Moon, the Biblical Sabbath appears to float through the modern Gregorian week. Sometimes being on Monday; the next month on Tuesday; the month after on Thursday, etc. This is the constant "shift" to which Andreasen is referring in his statements. In the end, the difficulties of presenting a new calendar by which to calculate the seventh-day Sabbath seemed overwhelming. Andreasen urged that the resulting confusion would be only detrimental to the Church and for that reason, it should not be pursued. If in the new calendar scheme we are considering adopting it should be admitted that local communities have the right of making their own observations that would determine the New Year, it would yet remain a question if the proper men competent for such observation would be available. . . . Let not the people observing God's holy day sponsor a calendar that means confusion, and make our work unnecessarily hard. For while the proposed scheme does not in any way affect the succession of the days of the week, and hence does not affect the Sabbath, nevertheless if the people observing the Sabbath also advocate the new scheme of calendation, the resulting confusion will not be of any help to us.
. . . While the whole matter would ultimately become adjusted, it would certainly make for confusion. Seventh-day Adventists will soon have enough matters on their hands so that it will not be necessary to make trouble for ourselves before the time. The blank day may yet confront us. We cannot afford to start trouble of our own. To the world it will look that the present proposed calendar is advanced for a specific purpose not for the purpose of adoption, for we will find that it is impossible of universal application not for the purpose of supporting the 1844 date. I do not believe that we are under that necessity. It must be possible to establish October 22, 1844, without resorting to such devices. A possible solution: I suggest that we make a report to [GC President] Brother McElhaney of what the Millerites believed and how they arrived at their conclusions, without, at this time, committing ourselves upon the correctness of their method. Let Brother McElhaney publish this report in any way it may be thought best, and let us await the reaction. M. L. Andreasen Some of his letters are so damaging that the SDA church has still not released them to the general public. In other words, Andreasen was urging, let us focus on how the Millerites established October 22, rather than September 23, as the Day of Atonement for 1844, but let us not come right out and admit that we agree with how they established it. Let us test the waters and, depending upon the reaction to our test, we can know whether or not we wish to say more. This is not intellectual honesty! It is intellectual cowardice. Truth remains the same, regardless of the reaction for it or against it. Andreasen was most eloquent in his arguments in favor of staying silent about the effect the Biblical calendar has on the weekly seventh-day Sabbath. He wrote a number of letters in which he urged the Research Committee to remain silent on the subject. These letters are not available to the general public. Apparently, the Church still considers the content too revealing, too explosive to want it released. Copies of these letters were given to the members of the Research Committee of 1995, but the committee members were not allowed to leave the room with them. "We would have made copies of them, but they picked them up before they let us leave the room," recalled one committee member. A committee that was appointed to do certain research work presented a statement concerning their extensive report which is now ready. It was felt that this report should be presented to as representative a group as possible, and it was therefore VOTED, To set July 9 and 10, beginning at 9 A.M., July 9, as the time for hearing the report in order that the union conference presidents, who will be in attendance at the General Conference Committee meeting in New York City just preceding this date, may be present; and further, that the officers be asked to invite any others they may think advisable, to be present when the report is given. Strangely enough, although the meeting did take place, there appears to be no record of it. Perhaps, as with the Andreasen letters given to the 1995 Committee to read, it was considered too damaging and has simply not been made available to the general public. It is certainly unusual for a meeting of this type to leave no record, save for references to it in personal correspondence by people who attended. At this meeting were present all the General Conference members available, all the Union Presidents in the U.S., many Bible teachers, many Ministers and many others. The reading of the R.C. 's [Research Committee's] Report started at 9:30 A.M. and the meeting ended about 10:00 P.M. Political expediency was the theme of the day and the full effect of the Biblical calendar upon long-held assumptions of the church was covered up as The Report of Committee On Historical Basis, Involvements, And Validity Of The October 22, 1844, Position was presented. J. H. Wierts was heart-sick. Different members of the Research Committee had written different sections of the six-part report. Wierts was most upset with one of the sections written by Grace Amadon, Part V. This section, entitled Crucifixion Date, And Astronomical Soundness Of October 22, not only twisted facts in order to force a Friday crucifixion, but it did not address the points he had raised from the very beginning! Intellectual honesty compelled him, at the end, to stand and, in front of the gathered assembly, denounce it for its skewed and inaccurate treatment of historical and astronomical facts. The injustice done to the truth under the charismatic influence of Grace Amadon was recalled by Wierts several years later when he wrote L. E. Froom after receiving notice of her death. This letter is worth quoting extensively because it provides an insight into the machinations done by the Research Committee to deny the impact of luni-solar calendation on the seventh-day Sabbath. About three days ago I read your notice in the R. H. [Review & Herald] of the death of Sister Amadon. I was surprised and somewhat disappointed. However, I feel constrained to make a few observations. My first observation is this, (a) You say, because of her brilliance she won the admiration of her associates (the R. C. [Research Committee]). It would have been more true, if you had said, because of her brilliance her associates (the R. C.) allowed itself to be put under an Amadonian spell, from which after almost seven long years, her associates (the R. C.) have not as yet completely recovered, as Elder Froom's writings about Miss Amadon plainly show. My second observation: Your statement about the support of the Associate Astronomer of the U. S. Naval Observatory (Mr. Glen Draper) that he checked and affirmed her work. Well, Brother Froom, perhaps you don't know, therefore I feel it my duty to reveal a few things to you, for your own good and others. Of course it is true what you say that Miss Amadon had made frequent contact with Mr. Draper. Yes, even to the extent that Miss Amadon was officially forbidden entrance to the observatory library. One time before September 1943, Miss Amadon came with a taxi to the observatory entrance. She informed the guard at the gate that she wanted to go to the library and see Mr. Draper. The guard phoned to the library Miss Amadon's request, and the answer was, Miss Amadon is forbidden to enter the observatory grounds and forbidden to enter the library. However, because of her persistence to see Mr. Draper, he had to go to the gate to talk with Miss Amadon. The closing words to me by one of the observatory's officials was: "The man, or group of men who are supporting Miss Amadon must be a group of men without brains." And the next statement was: "Uncle Sam [the U.S. Government] needs workers, Miss Amadon should be wrapping packages for him." At the Congressional library Miss Amadon made the claim that she was connected with the observatory. If you want more details about this, just let me know, I will furnish them. One of our teachers is in receipt of a letter which concerns a statement made by Miss Grace Amadon to the committee on chronology, of which she was a member. She stated that she had your endorsement on some of her computations, but did not specify. The question is: assuming that you gave an endorsement, did this concern or include her position that the Jewish Passover in the year 31 A.D. fell on a Friday? As she is now deceased, we would appreciate a word from you. But as I told her so frequently there may be some question in accepting the premises as real. They are interesting and furnish as consistent a set of conclusions as any I have seen on the subject, although they seem to contain several precepts of almost hearsay. They are novel to say the least. In other words, Draper was explaining, Amadon made some assumptions. If one accepts her assumptions as correct, her conclusions are consistent with her assumptions. I wonder if you would be willing to offer your comments or counsel regarding the premises upon which Miss Grace Amadon based her work, or if you would feel free to give us the facts so far as science and mathematics know them concerning the Passover day in the year 31, as well as the other years which are now considered by various groups studying the problem. I am a little perturbed to know exactly what you desire as Miss Amadon's work must certainly be in your possession and states for itself what it is. Briefly though it assumes that the Paschal moon is the important moon and not the new moon. Her calendar is refreshing in its (at present) novel premise that the Jews knew enough of the motions of the moon to predict the time at which the moon would be full. The Paschal feast should never arrive before the full moon is her major premise. I have never heard of any other modern who claims this, but it was indeed interesting to me to see how she was able to make a consistent chronology on that premise. It appears in many respects to be the most consistent chronology I have seen, although it requires the difficult assumption that the priests knew a great deal more of the laws of motion of the moon than they recorded as such. Miss Amadon . . . had faith that the priests were able to regulate the entire year by observations of the new moons of a previous year. It is difficult to understand now how they were able to do this as we have only in the last three hundred years been able to reproduce this feat. Well, Brother Froom, the question is, what did Mr. Draper check and endorse? Answer 1. Mr. Draper in the capacity of an astronomer checked and endorsed the following calendrical, astronomical facts. The above four calendrical, astronomical facts Mr. Draper, as an astronomer, checked and affirmed as calendrically and astronomically correct. 1. Mr. Draper in his astronomical capacity did NOT affirm that the moon's conjunction of Tuesday, April 10d 14h 31m was the new moon that determined the Biblical Nisan 1, 4032 A.M.
2. Mr. Draper in his astronomical capacity did NOT affirm that the new moon's translation period of 3d 3h 33m determined the biblical Nisan 1 . . . to fall on Saturday, April 14, in 31 A.D.
3. Mr. Draper in his astronomical capacity did NOT affirm that the full moon of Wednesday . . . was the full moon that determined the Biblical Passover for 31 A.D. Experience during the course of many years with several astronomers at the U. S. Naval Observatory . . . including two of the directing astronomers has shown that they are always willing, and even pleased to assist in the finding of calendrical astronomical facts and data. But they simply refuse, and will not interpret, neither affirm or deny Biblical, chronological event data in the light of astronomical facts. Therefore, Brother Froom, please observe and understand that Mr. Draper's checking of Miss Amadon's supposed Crucifixion data claims is of NO value whatsoever in the establishment of Biblical events, neither does Mr. Draper's checking prove that Friday, April 27, 31 A.D. is the day and the date of the crucifixion. Therefore, the so-called checking and affirming of Mr. Draper's above calendrical, astronomical facts is of no value whatsoever in the solution of our problem. Furthermore, Brother Froom, do you know that Miss Amadon's claim for the crucifixion day and date of Friday, April 27, 31 A.D. is only ASSERTION without proof whatsoever. Was the chairman of the of the research commitee, established in 1938. Froom was the first associate secretary of the General Council Ministerial Association fro 1926-1950. He was also the foundng editor of Ministry Magazine, from 1950 until his retirment in 1958. He was considered to be the leading historian and apoligist of the church at that time. Seventh-day Adventists have always taught that the 2300 day prophecy of Daniel 8 and the 70 week prophecy (pointing to the Messiah) of Daniel 9, began at the same point in time: 457 BC. In order to support Daniel's 2300 day/year prophecy ending on October 22, 1844, Grace Amadon and the committee were left with one year and one year only for the crucifixion: AD 31. The problem was that AD 31 provides incontrovertible proof that the modern weekly cycle differs from the Biblical weekly cycle because Passover on Abib 14 that year does not fall on Friday. This was a big problem because if the crucifixion did not occur on Friday, then the next day, Sabbath, did not fall on Saturday. In order to continue to have a Saturday-Sabbath, Amadon had to force a Friday crucifixion at all costs. She did this by stretching out the moon's translation period to a ridiculous length and by insisting, historical and astronomical evidence to the contrary, that the paschal full moon always fell on Abib 13. It was skillful juggling of the data, stretching it to the breaking point, but Wierts let Froom know in no uncertain terms that Draper, as a USNO astronomer, had confirmed only astronomical facts. He did not confirm those manipulations of the data that provided a Friday crucifixion. Thus, Brother Froom, by these calendrical, astronomical demonstrated facts, it can plainly be seen that Miss Amadon's claim for the crucifixion on Friday, April 27, 31 A. D. is only assertion, without the least Biblical, prophetical, chronological, typical, calendrical, astronomical scientific proof. And without such we would have no more proof than all those other theorists have for their claims. Why then did she resort to such deceitful, misleading trickery? Answer (a) Miss Amadon in all her work in the Research Committee's Report No. 1, Part V has made the erroneous claim over and over again that the Passover moon must always become full on Nisan 13, but never on Nisan 14 [this, in order to force a Friday crucifixion]. (b) Therefore, if she had allowed her supposed Nisan 1 to fall on April 1 where the Rabbinical Jews had it, then of course, her supposed Passover-day Nisan 14, would have fallen on April 14, on the day of the full moon. . . . Therefore, if her supposed Passover-day, her Nisan 14, had fallen on April 14, on the day when the moon had become full, she would have contradicted all her erroneous claims put forth in her Part V of the Research Committee's Report No. 1.
. . . It is therefore obvious that she rather resorted to deceitful calendar data juggling than to truth.
. . . Therefore, in order to save her erroneous claims from complete disaster, she rather stooped to the misinterpreting, misleading, deceitful calendar day and data juggling, perhaps thinking and hoping to get away with it. Because as can be shown and proven that she got away with so many other erroneous things in the presence of the Research Committee. Therefore, it can be presumed that she hoped that she also would get away with this. Perhaps she may not have thought that this problem is the same as any mathematical problem which at any time may be investigated to ascertain if the conclusions drawn are right or wrong. If right they will stand, but if wrong they will fall. If . . . the General Conference officials would ever allow a careful investigation to be made along all those above lines, it would be proven, established and demonstrated, that Miss Amadon was a very brilliant, willful, deceptive, misleading calendar data juggler. And it would be proven and established and demonstrated that all her expensive work during those seven long years has not served to construct, but to destruct the data of our message. However, the blame for all this confusion and misunderstanding rests on the shoulders of the Research Committee, and especially on you, Brother Froom, as Chairman of the Research Committee from the fall of 1938 until July 20, 1942. And, furthermore, you as editor of the "Ministry" are responsible for all that erroneous Amadonian material which you have allowed to appear in the "Ministry." One more item: Well, Brother Froom, you remember that Sunday evening meeting on July 9, 1939, in the General Conference chapel, when Miss Amadon had given out that loose sheet, and then expounded its erroneous contents of the 1844 question in the hearing of that important assembly, which she finally climaxed when her supposed "BRILLIANCE" flashed forth with her foot stamping, declaring in her apparent triumph What More Do You Want! Well, Brother Froom, she almost got away with it that evening. But as I had carefully studied her Part V and knew all the misleading, deceitful tricks and errors in it, and then her boldness to give out that loose sheet with its glaring, deceitful, misleading errors in it. I was then determined to strike her whole misleading, deceitful arguments a paralyzing blow, which I am glad I did at that important meeting, and I am glad to say that from that paralyzing blow Miss Amadon nor her associates (the Research Committee) have never been able to dare to try to extricate her argument on the October 22, 1844 question. I know, Brother Froom, that these are harsh, unkind, yes, serious statements, but for the sake of the truth, and the great cause that we love more than life itself, and in the hope that the beautiful, prophetic, Messianic data truth may come to light. I challenge you, to challenge me to prove my claims. In closing, let me say, and for your own information that all the above, and much more has been revealed, and is in the hands of several General, Union and local officials. Therefore, I am sure, that sooner or later an official investigation of this whole important prophetic data matter will be demanded. The truth and our message demands that the true prophetic interpretation on all this must come to light, sooner or later. "If the stones must cry it out." Unfortunately, there is no evidence that Froom ever accepted Wiert's challenge. To this day, the SDA Church has never reconciled the inconsistencies in an open, harmonious manner. Correspondence preserved in the Grace Amadon Collection reveals the Research Committee and its topic of study were initially discussed on a fairly wide basis across North America. The expectation was that the committee's findings would be officially published for the benefit of the church members. After the committee dug into the subject in depth, however, and realized they did not have a ready answer for what they repeatedly referred to as the problem of the crucifixion date, it appears efforts were made to limit the discussion to a few "in the need to know" scholars. Not all of the material gathered by the committee is available to the public, either. For all her failings in other areas, Amadon was a meticulous record-keeper. Even short exchanges most people would not keep, she preserved in her files. Where are the Andreasen letters given to the 1995 Committee which were picked up again before the men were allowed to leave the room? Where is Wierts' original document? It was to be provided to the 1995 Committee, but the committee was shut down before they saw it. When asked if he had any suggestions on where the document could be obtained, a member of the 1995 committee responded: They will never give it to you. They are not going to let that out. Why has this document been buried so deeply? What evidence does it contain? If the arguments Wierts presented could have been answered, the SDA Church would have already done so. Their strenuous efforts to keep this from the people suggest the information it contains is believed to be too damaging to ever see the light of day. Otherwise, why withhold it from the common church member? It would be well for those who desire to know all truth to ask the Seventh-day Adventist Church leadership to make this material available. Or, if not, explain why it is being withheld. The Church did not stop studying the issue of the two different calendars nor did the Advent Research Committee disband after presenting its report in July of 1939. The name was later changed to the Historical Research Committee and membership changed as some of the original members retired, died or were assigned other duties that precluded their active involvement with the committee. Froom served as chairman until 1943 at which time Milton E. Kern assumed chairmanship, although Froom remained a member. The last time this author was able to uncover reference to the committee was a passing mention in Box 15, Folder 8 of the J. L. MacElhaney Collection at the Center for Adventist Research: Thurber, M.R. : A statement on the Research Committee and its work and a lengthy paper, published by Review and Herald Publishing Association in 1953. This document, entitled The Chronology of Ezra 7 is subtitled: "A Report of the Historical Research Committee of the General Conference of Seventh-day Adventists". The members at this time consisted of Lynn Harper Wood, L. E. Froom, Milton E. Kern and W. Homer Teesdale of the original committee, as well as new members: Walter E. Read, chairman; Merwin R. Thurber, secretary; Siegfired H. Horn, Frederick Lee, Julia Neuffer, Denton E. Rebok and Frank H. Yost. Some years ago the General Conference of Seventh-day Adventists set up a committee, later called the Historical Research Committee, to study certain problems of historical dating that relate to prophetic periods, and to engage in scientific research where it seemed necessary. One of the problems studied by the committee was the date for the seventh year of Artaxerxes. The evidence secured, as set forth in the following study, furnishes indisputable proof that the date accepted by the early pioneers of the Advent message was accurate from a scientific as well as from a Biblical viewpoint. These papyri provide most welcome material for a reconstruction of some phases of the Jewish calendar of the pre-Christian era, for which no other source material is available except the meager information the Bible provides. Yet the small number of documents available as witnesses is far too scanty to arrive at unassailable conclusions as to every aspect of their lunar calendar. However, the recent discovery of additional source material on which the foregoing conclusions have been based allows us to entertain reasonable hope that further data will fill the still existing gaps and permit a more complete reconstruction of the ancient Jewish calendar system. The Biblical Research Institute was established by action of the General Conference Committee in 1975. The historical roots of the institute go back to the Defense Literature Committee (established 1943) and the Committee on the Biblical Study and Research (established 1952). No further mention of the study of the problem of the crucifixion date and its undeniable impact on the seventh-day Sabbath can be found until the Research Committee of 1995 - which was shut down after only a few months when church officials learned the committee members themselves were seeing light in the idea that the Biblical luni-solar calendar should be used for calculating both the crucifixion date and the weekly Sabbath. The truth may have remained buried forever, but when Heaven decides the time has come for truth to go forth, none can hide it or stop it. Around the time the 1995 Committee was shut down, other voices, outside of Adventism, began agitating the subject. In 2006, a Seventh-day Adventist by the name of Laura Lee Vornholt-Jones was told of the theory of a lunar Sabbath. The idea that she may have been worshipping on the wrong day all her life was very upsetting to her. As she had more questions than answers on the subject, she began researching on-line, trying to get more information on the principles of luni-solar calendation. Providentially coming across the register of contents for the Grace Amadon Collection, she was stunned to discover that a wealth of knowledge on ancient Hebrew calendation, including such specifics as "Characteristics of Mosaic Luni-solar Calendar", was known within the SDA Church. She told her mother, eLaine Vornholt, of her discovery. The two women, along with two friends, pooled their money and purchased copies of over 300 pages from the Amadon Collection. As the significance of their discovery opened to their understanding, the women became concerned. Should the Church learn of the Collection's contents and its glaring implications for the seventh-day Sabbath, perhaps it might someday no longer be made available to the public. Over several months, they purchased everything from the Collection that was copiable, an amount totaling over 3000 pages of documents, charts and correspondence, including several letters written by William Miller. Laura Lee recalls, "We did not want to be wrong; the Sabbath is too important. If our understanding were incorrect, we wanted the Church to address the issue and show us our error from Scripture." She wrote to various pastors and church leaders of her acquaintance asking, "Since the luni-solar calendar was used for determining Adventism's most distinctive doctrine October 22, 1844 why are we not using the same calendar for determining the weekly Sabbath?" The few responses she received did not answer the question. One pastor suggested she contact his non-Adventist, Messianic Jewish brother-in-law and ask him. James Rafferty of Light Bearers Ministry asked her to tell him when she found out. Jacques Doukhan Professor of Hebrew and Old Testament Exegesis and Director of the Institute of Jewish Christian Studies. Receiving no answers from the pastors and leaders they had contacted, the Vornholts quickly became convinced that they had a responsibility to share this information and ask the Church to study the issue. In October of 2007, the Vornholts published the results of their research in a book entitled The Great Calendar Controversy. This book not only explained the principles of luni-solar time-keeping, but also presented the Millerite use of luni-solar calendation to establish October 22 as Day of Atonement in 1844; the problem of the crucifixion date; and the history of the Advent Research Committee of 1938/39. We have council to lay all new light before the brethren. It was very important to me that we did this. We expected that, if our understanding was wrong, the Church would respond and show us our error; or, if it were correct, that there would be widespread agitation of the subject. In October, as soon as they received the books from the printers, the Vornholts sent copies of The Great Calendar Controversy to the pastors in the Upper Colombia Conference (where they were members) as well as the various conference officials in the Washington, Idaho, Oregon, Montana and Alaska conferences and the North Pacific Union. They also sent copies of the book to other leaders in the church. On December 10, 2007, a church member in Canada sent a letter to various church leaders, explaining the significance of the research found in the Grace Amadon Collection. Three hundred pages of documents from the Grace Amadon Collection as well as copies of The Great Calendar Controversy were sent with the letter, along with a request that the church re-open an investigation into the subject. In that same month, copies of The Great Calendar Controversy were also sent to every SDA pastor in Canada, the various Canadian conference presidents as well as the Canadian Union President. In addition, on February 1, 2008, a follow-up letter was sent which contained copies of the Final Report of the Research Committee, parts I-VI, obtained from the Archives and Statistics Department of the General Conference of Seventh-day Adventists as well as the Center for Adventist Research at Andrews University. The Vornholts also e-mailed PDF copies of The Great Calendar Controversy to over 600 pastors and church officials in South America, Africa and Europe, appealing them to study the subject. To date, neither the Vornholts nor the person who sent The Great Calendar Controversy to the ministers and leaders in Canada, or the packets of information on the Grace Amadon Collection to the above-listed people have ever been contacted with a response. The matter was laid before the brethren, but the brethren did not respond. Twice, in the spring of 2008, a Seventh-day Adventist flew to the United States at her own expense, to present the subject to the leadership at the General Conference Church Headquarters. She met once with Vice-President Orville Parchment and once with Dr. Angel Rodrguez, head of the Biblical Research Institute. Each man had already been supplied with material from the Grace Amadon Collection as well as copies of the Advent Research Committee's report and copies of The Great Calendar Controversy. She appealed to the church to reopen an investigation into the subject. 1. Total silence. Despite letters actively requesting feedback on the subject, there was never a response. 2. Casual dismissal of the topic. On August 8, 2008, increasing agitation of the subject led the church to issue its first address of the subject. The response, which was printed in The Review, did not address the problem of the crucifixion date, the historial evidence which refutes the assumption of a continuous weekly cycle, or any of the Biblical evidence in favor of the Hebrew lunar Sabbath. It was more a because-of-my-authority-just-take-my-word-for-it-its-wrong response. 3. Recital of assumptions by well-respected scholars. Church scholars such as Jacques Doukhan and Ron Du Preez have been asked to write on the annual feasts, with reference to the lunar Sabbath. Unfortunately, these simply reiterate the fact that Ellen White believed in a Saturday Sabbath; the week has come down uninterrupted since Creation, etc., etc. They still do not address the evidence proffered in support of the lunar Sabbath or resolve the problem of the crucifixion date. Thus, the church has not, to date, disproven the lunar Sabbath from Scripture as it has been repeatedly asked to do. 4. Disfellowship of members who believe in using the Biblical lunar calendar to determine when the Sabbath comes. While some Adventists who accepted the lunar Sabbath simply chose to withdraw their membership, other Adentists saw no reason to withdraw as they still believed all of the doctrines that set Seventh-day Adventists apart as distinctive: the cleansing of the sanctuary; the soon return of Christ; the ministry of Ellen White as an inspired messenger, the need to worship on the seventh-day Sabbath, etc. So far as this author could ascertain, the first SDAs to be disfellowshipped specifically over the lunar Sabbath were a doctor and his wife in July of 2009. Ironically, they were disfellowshipped from a church in the Upper Columbia Conference the same conference whose pastors had listened to Jacques Doukhan's admission at Worker's Meeting two years before; the same conference whose pastors and conference officials received personal copies of The Great Calendar Controversy. When the women protested that they had never received an answer when they sought to lay the subject before the brethren and, furthermore, had never been shown their error from Scripture, Folkenberg replied that he was not there to discuss the subject. He only wanted to know which of the three options they wished to pursue. The Vornholts then asked on what grounds they were being disfellowshipped as they still believed the fundamental SDA beliefs. Furthermore, they pointed out, nothing in the Church Manual, the baptismal vows, or the Twenty-eight Fundamental Beliefs specified that the Sabbath must be calculated by the Gregorian calendar; or, that Saturday is the Sabbath; or, that the Hebrew calendar could not be used for calculating the Sabbath. Without this clarified, on what grounds were they being disfellowshipped? President of the Upper Coumbia Conference of Seventh-Day Adventists stated that his work experience and education were such that he could tell the lunar Sabbath is wrong just by looking at it. Folkenberg stated that the lunar Sabbath was wrong. When asked if he had read their book or any of their other research on the topic, he replied that he had not but added, I am a pastor with many years experience, I have a doctorate degree; I can just look at it and know that it is wrong. The Vornholts refused to withdraw their membership since nothing in their baptismal vows, the Church Manual or the 28 Fundamental Beliefs precluded worship calculated by the luni-solar calendar. Furthermore, they refused to return to worship on Saturday since none of the brethren before whom they had attempted to lay the subject had ever responded, let alone shone them their error. Seventh-day Adventist Church, the promotion of the teachings expressed in your book, The Great Calendar Controversy, caused confusion on the part of those reading your materials as to the church's position on the Sabbath truth. In other words, an honest attempt to follow inspired council, to lay the issue before the brethren, which never received a response, itself became a motivating reason for disfellowship. This is the current attitude of the Seventh-day Adventist Church toward the lunar Sabbath. As of the time of this writing, the Seventh-day Adventist Church has never officially reconciled the problem of the crucifixion date with October 22, 1844. While the church has addressed the subject and taken a stand against the lunar Sabbath, they still have never actually provided Scriptural support for Saturday keeping or, contrarily, Scriptural proof that the lunar Sabbath calculated by the Hebrew calendar is wrong. Saturday is not the Biblical Sabbath. You cannot have all three calculated by two different calendars. Intellectual honesty demands consistency. History speaks for itself: the subject of the lunar Sabbath, though long known in Adventism, has been covered up for over 70 years by church leaders afraid of the consequences on the world-wide organization if the common people find out the truth. This is not meant to be a denunciation of those of the past who tried to do what they thought was best for the Church. Only the Heavenly Father can read the heart and none should take it upon themselves to judge the motives of others. However, it is a vital necessity that all who desire to know the truth study for themselves, decide for themselves. Do not rely upon the Seventh-day Adventist Church to decide for you. What system of time measurement was given to Adam and Eve in the beginning? What calendar was used by the Israelite nation at the time of the crucifixion of the Messiah? Should that same time measurement system, the luni-solar calendar, be used to find and observe the true Sabbath today? Cowardice asks the question: is it safe? Expediency asks the question: is it politic? Vanity asks the question: is it popular? But conscience asks the question: is it right? And there comes a time when one must take a position that is neither safe, nor politic, nor popular but one must take it simply because it is right. Martin Luther King, Jr.
1 Names have been withheld upon request. 2 See Midnight Cry , April 27, 1843, p. 30; Signs of the Times , June 21, 1843, p. 123; Dec. 5, 1843, pp. 133-136; Midnight Cry , Feb. 22, 1844, pp. 243, 244. 3 Bold in original; italics supplied. 4 Grace Amadon, Millerite Computation of the October 22 Date, Box 2, Folder 4, Grace Amadon Collection, Center for Adventist Research, Andrews University. 5 Amadon, Courageous Action of Millerites on Jewish Calendar Problem, Box 2, Folder 4, Grace Amadon Collection, p. 3, emphasis original. 6 S. Bliss, Analysis of Sacred Chronology, pp. 5-6, emphasis supplied. 7 See History of the Sabbath , page 31 and footnote 33. 8 A. T. Jones letter to Claude Holmes, May 12, 1921, emphasis supplied. 9 Ibid. , underlining original. 10 Wierts, letter to L. E. Froom, June 29, 1945. 11 M. L. Andreasen, undated letter to Grace Amadon, Grace Amadon Collection, Box 2, Folder 4, Center for Adventist Research, Andrews University, emphasis supplied. 13 Ibid., pp. 3 & 5, emphasis supplied. 15 Scroll down to page 30. 16 J. H. Wierts, letter to L. E. Froom, June 29, 1945, Grace Amadon Collection, Box 5, Folder 9. 17 Ibid. , p. 1. 19 D. E. Rebok, letter to Glen H. Draper, dated February 26, 1946. 20 Glen Draper, letter to D. E. Rebok, February 27, 1946, emphasis supplied. 21 Rebok, letter to Draper, March 1, 1946. 22 Draper, letter to Rebok, March 5, 1946, emphasis supplied. 23 Wierts, letter to Froom, June 29, 1945. 24 Ibid., pp. 1-2, emphasis in original. 27 Ibid. , p. 3. 28 Ibid., p. 5, emphasis supplied. 29 Ibid., p. 6, emphasis original. 30 Siefried H. Horn, Lynn H. Wood, Chronology of Ezra 7, preface. 33 E-mail exchange dated January and February, 2007. 34 See Sabbath Keeping, Seventh-day Adventist Church Manual, pp. 138-139, http://www.adventist.org/ChurchManual_2010.pdf . 35 See Baptismal Vows, Seventh-day Adventist Church Manual , pp. 46-47, http://www.adventist.org/ChurchManual_2010.pdf . 36 See Twenty-eight Fundamental Beliefs , http://www.adventist.org/beliefs/fundamental/ . Scroll down to Sabbath, #20. 37 Recorded meeting with Elder Robert Folkenberg, Jr., Spokane, Washington, 2010. 38 Ellen G. White, Historical Sketches, p. 197.